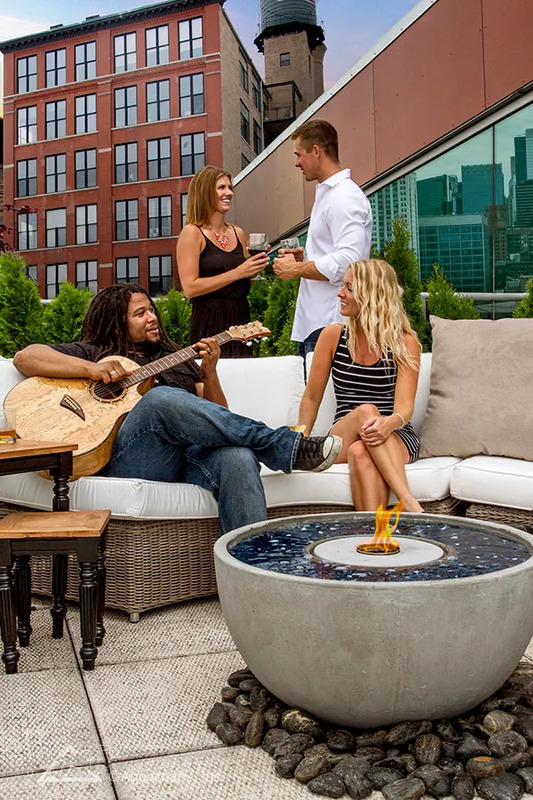 Self-contained water features and fire fountains have been gaining in popularity in recent years. The Aquascape Fire Fountain is easy to set up and allows you to enjoy the beauty and elegance of flickering fire and flowing water. 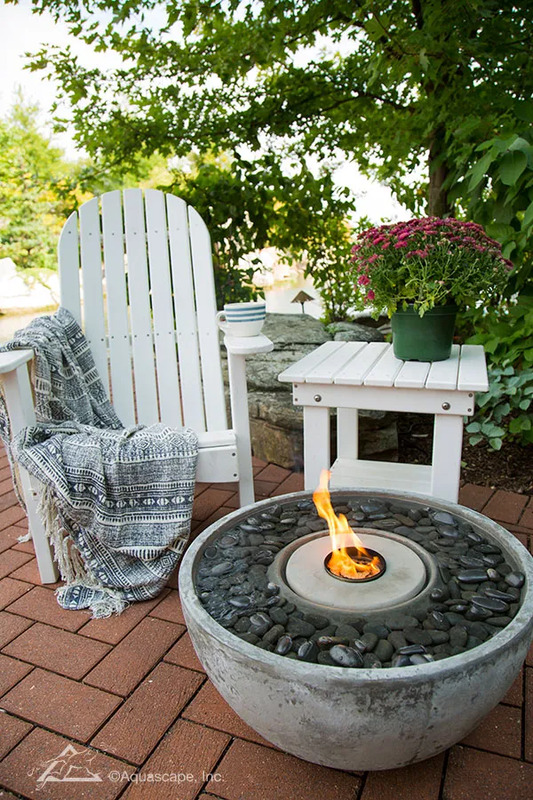 You’ll enjoy the soft sound of trickling water as the flame burns brightly in the center of the bowl. 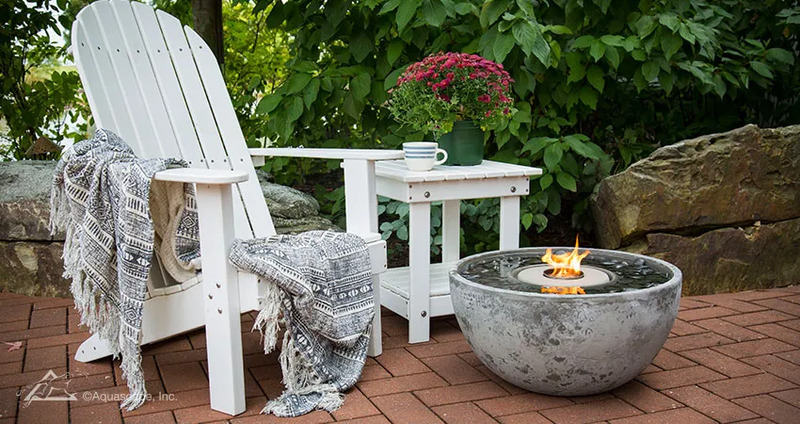 Constructed of durable GFRC and available in three sizes, choose the fire feature that best suits your style and space. 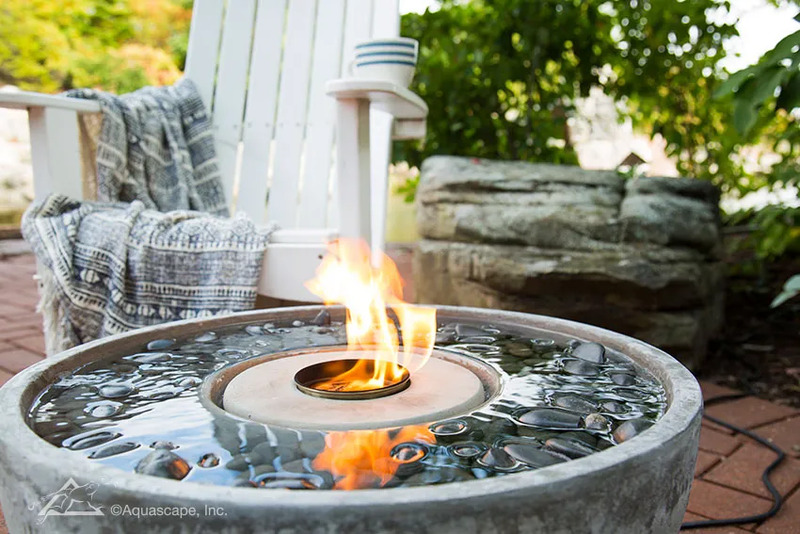 Thanks to the Aquascape Fire Fountain, it’s easier than ever to enjoy the combination of fire and water on your deck or patio. 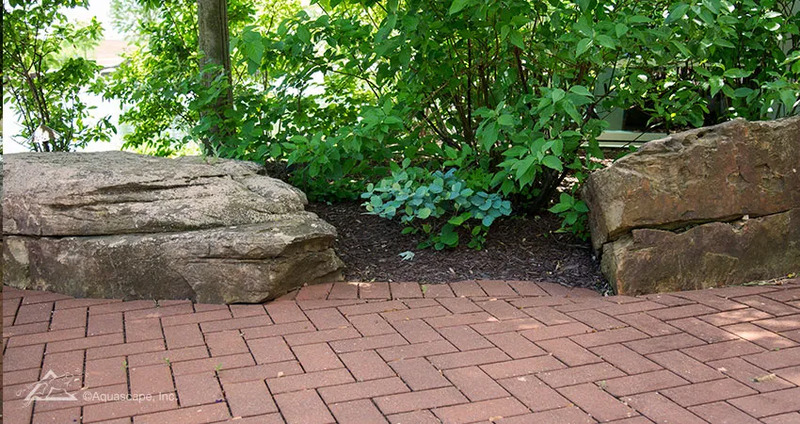 With a few basic skills and a bit of creativity, you can quickly and easily set up your beautiful water feature. Watch our video to learn more. Swipe through and click the fire feature images to learn what options are available.